You can love and/or hate the design of the all-new 2019 Chevrolet Silverado 1500, but arguments over its appearance won’t dissuade loyal Chevy customers from buying one. It has a built-in customer base and with it droves of owners looking to modify the new pickup. That’s where SCA Performance comes into play. The tuner has a history of upgrading trucks and off-road vehicles from just about every American automaker. SCA continues that tradition with the SCA Performance Chevrolet Silverado 1500 Black Widow. The most significant upgrade with the package is the six-inch suspension lift accented by the 35-inch BF Goodrich AT KO2 tires and 20-inch Black Widow wheels, which give the Silverado a menacing appearance. But that’s not all, the Silverado 1500 Black Widow also receives SCA logo red brake caliper covers, a performance exhaust upgrade with black tips, black five-inch oval wheel-to-wheel side steps, SCA pocket-style fender flares, SCA Chevy hood vents, and Black Widow exterior badging. The company also provides a speedometer calibration for the larger wheels. Inside, SCA adds red LED interior lighting, Black Widow speedometer gauges, custom Black Widow stitched headrests, painted interior trim, and tinted front windows. SCA proves a three-year, 36,000-mile warranty. The truck looks stellar both inside and out with the Black Widow package. Options include 22-inch wheel and tire upgrade, leather seat covers, custom seat cover stitching, rock lights, black fender flare bolts, full matte paint, fade paint scheme, “hi-hat” paint scheme, and upper two-tone paint scheme. Without pricing information it’s difficult to determine if the Black Widow package is a good deal; however, the overall package dramatically improves the look of the controversially styled 2019 Chevrolet Silverado 1500. It appears the Black Widow package requires the Z71 off-road package on the Silverado, which itself adds upgraded shocks, side plates, locking rear differential, and graphics. The exterior is fine. Can I get an upgrade on the inside please? Thats a nice looking toyota. But for a silversdo, i hate it, snd all i have ever owned is Chevy. I’ve seen one 2019 Silverado on the road so far. I’m a loyal built -in fan base customer and I don’t want one. And I’ve tried hard to convince myself I did, but it aint happening. I’m waiting on mid-cycle refresh to see if they fix the ugly gills, stubby front bumper and squinty headlights……oh, and did somebody mention the interior options? This truck and the Sierra are a lot sharper in person. GM pictures don’t do it justice. Yes its polarizing but that helps sells vehicles today. Look at Lexus who would think those things would sell. Yes, it is sharper in person. I’ve drove it, was trying to talk myself into a Trail Boss. My complaint is more configuration. I like a Double cab, it looks sportier to me plus I don’t need a crew and I need the longer standard bed. 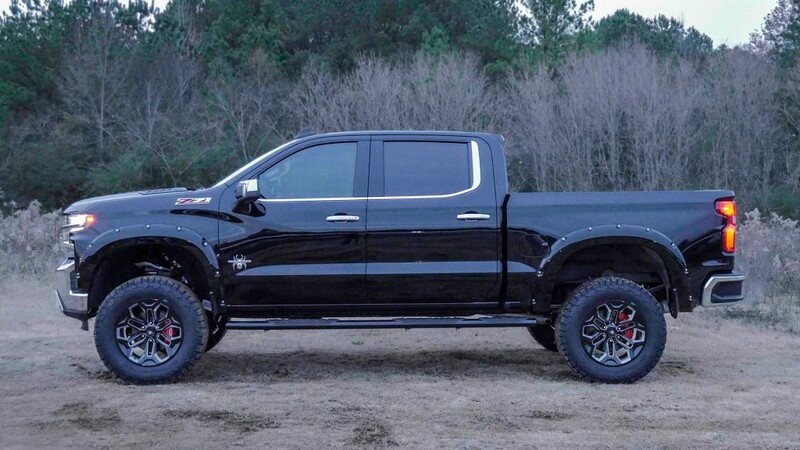 A Trail Boss Custom can be had in double cab configuration but the Custom has been decontented and offers a very short option list, so naturally I moved to a Trail Boss LT. But a Trail Boss LT cannot be had in double cab configuration, just crew cab. I need the longer standard bed but a crew with a standard is awkward looking. So, couple this with I’m not all that swayed by the looks of the truck equals driving my ’14 a little longer! This is something that GM could fix by simply doing it bu they don’t seem to want me to buy what I want.